More than 1 in 10 residential property transactions fell through last year, with some areas of the country experiencing abortive rates of over 30%. Aborted transactions can prove costly to law firms and their clients. It usually results in the loss of any costs already incurred in association with valuations, searches and disbursements but, perhaps more importantly, it can also lead to law firms having to have difficult discussions with their clients about the legal fees which need paying, even despite the failed transaction. Residential conveyance insurance reimburses all legal fees and disbursements, valuation reports, lenders fees, mortgage arrangement and survey fees if the purchase or sale of a residential property fails to complete for reasons beyond the control of the law firm’s client. “The safeguarding of fees and disbursements, even in the event of a failed transaction, provides real peace of mind to clients and could give conveyancers the confidence they need to proceed with searches earlier in the process to help bring completion date forward,” Harris explained. 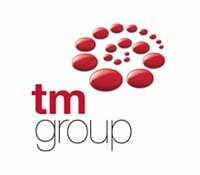 To register for more information, visit the TM Group website.